Taking a premium Scottish food business nationwide. 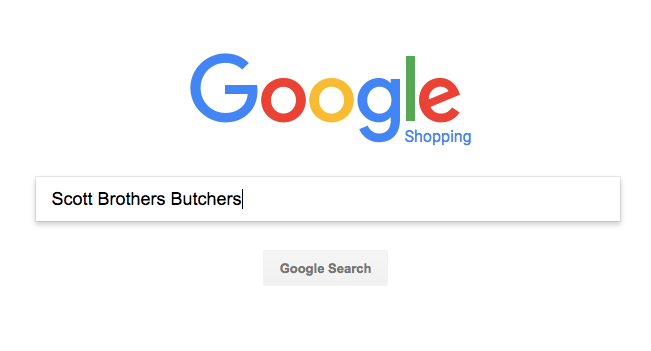 Founded in 1935, Scott Brothers Butchers is a growing food business selling premium products to retail and wholesale customers from its chain of stores in Dundee and the surrounding area. 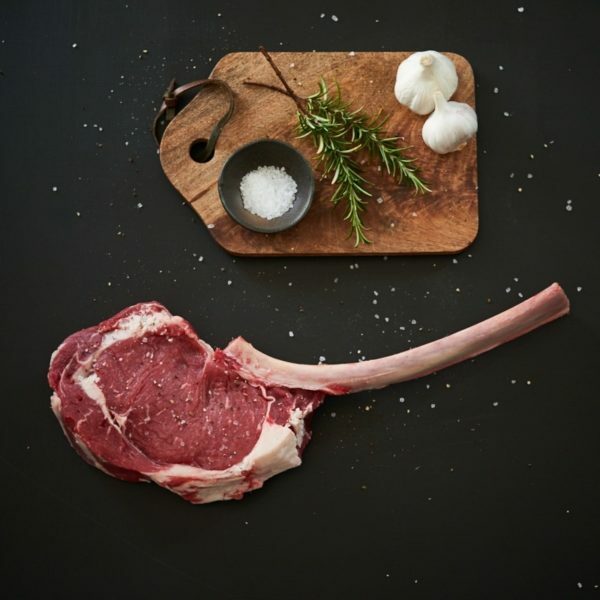 Particularly renowned for its 42-day aged beef, the owners work closely with local suppliers to provide provenance, quality and traceability in all they offer. 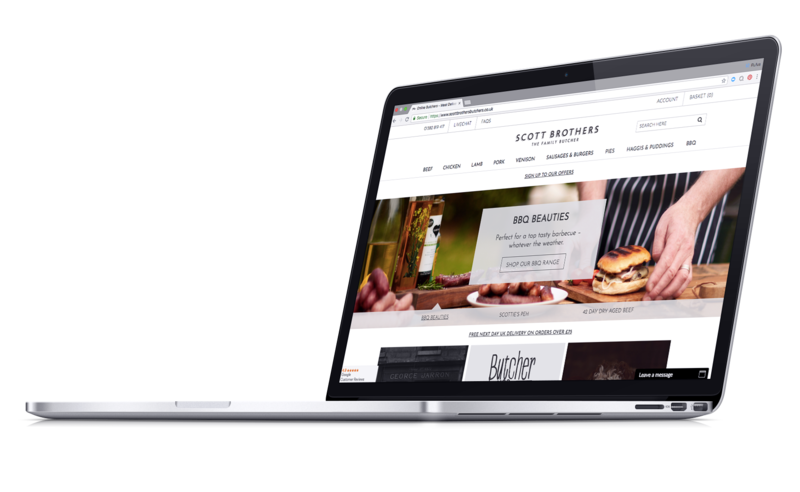 After limited success with early online ventures, Scott Brothers appointed Mackerel Media to deliver a new ecommerce website and digital marketing strategy. We were tasked with delivering premium positioning across the whole of the UK market and a drive a significant uplift in sales. 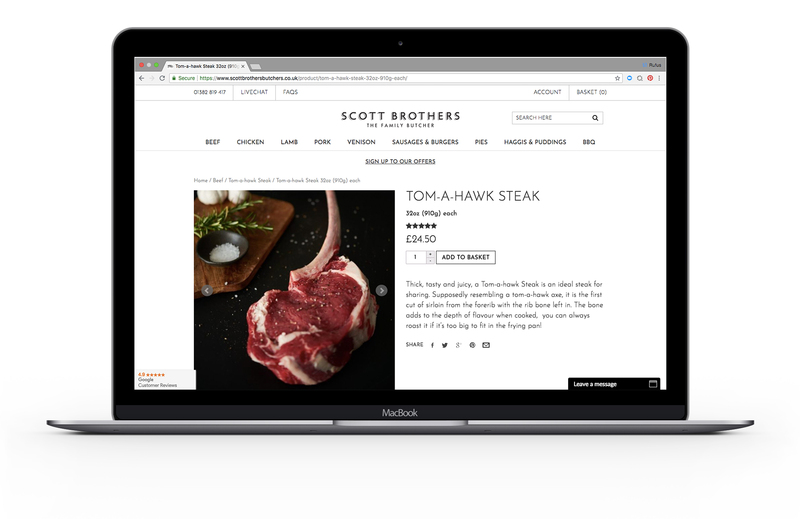 From the outset of the project it was clear that Scott Brother’s existing online channel failed to represent the quality of the product or the level of service. Similarly, the ecommerce experience was neither particularly search-engine-friendly nor was it conversion-friendly. Our strategy there for was to completely re-position the brand in the correct digital space, providing a clear point of differentiation from the competition and appealing to the customer who appreciates and seeks out premium products. We worked with a product photographer who delivered outstandingly mouthwatering photography and combined this with a highly considered site design that was designed to communicate the brand and drive customers to purchase. We designed and built a new ecommerce website using the Woocommerce platform, which provides a lean, nimble and extensible system from which to develop and grow. To ensure success, the structure of the new site was created off the back of detailed keyword research and a detailed understanding of how users search for and discover food products. Thanks to this foundational work, the site enjoys enviably high ranking positions for a wide range of competitive search terms and a constant flow of natural search traffic. 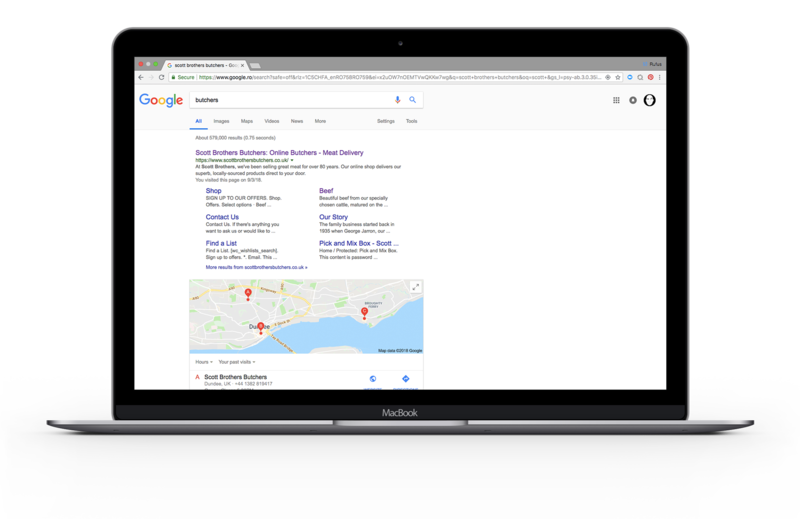 Google Shopping plays a key role in the marketing of Scott Brother’s products and attentiveness to feed quality and data quality allows the company to compete head on with the biggest of national competitors to win the clicks and custom of users. Since the start of the engagement we have kept a very close eye on long-term customer relationships. 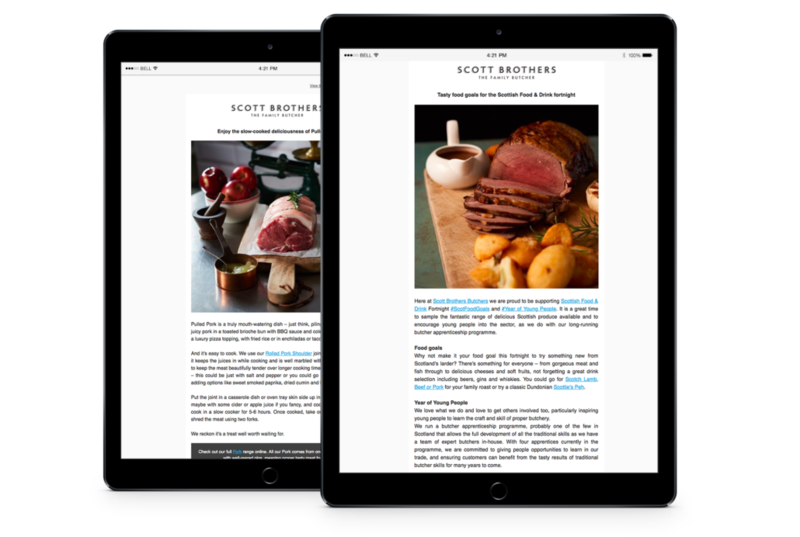 We work closely with the Scott Brothers team to build their email database and ensure a regular flow of high quality email communications, which are always backed by multi-channel activity to maximise impact. 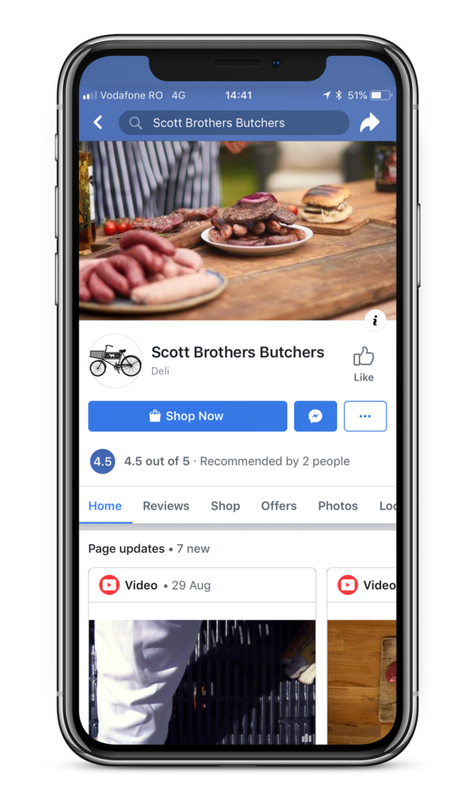 Given the importance of the local audience for Scott Brothers, we have devoted considerable time to ensuring their online presence and profiles in the local space are claimed, populated and optimised. We also cater extensively for their needs through web site functionality. Instagram – Aligned the profile with the current branding and images. Click & Collect Service – Customers can order from the site and collect at any of the three retail shops. Local Delivery Service – Eligible customers can select a cost-effective local van delivery option during checkout. As a result, the local digital touchpoints for the brand now convey the correct positioning, give customers easy access to the information and people they need and allow them to shop in the way that best suits them.